the Use of Endorsements and Testimonials in Advertising. I'm sure you've heard that Avocados are a great source of nutrition but did you know how delicious they are? And when you hear the word guacamole do you realize how delicious THAT is? I didn't, until I learned first hand when I got to try out Wholly Guacamole products! I received an entire cooler fool and I was thrilled! I learned so much about guacamole and Avocados too! Wholly Guacamole Avocado Ranch Dip: This stuff is delicious. It's Kosher certified, has real Haas Avocados, freezes for up to 3 months, is all natural and gluten free! And it's dairy free even though it has ranch in it!! The Wholly Guacamole chefs use natural plant sources and green onion and dill galvors with garlic to create the taste of ranch! Plus the mini packages are perfectly sized for on the go, at your desk at work, dipping chips in it, and great for in the park or on the beach! Oh, did I mention they are 100 calories! Wholly Guacamole also has salsas which are perfect for when you host a party or you need to bring a side dish (chips and dips) to a party you've been invited to! Whether spicy or regular, there's a flavor for you! 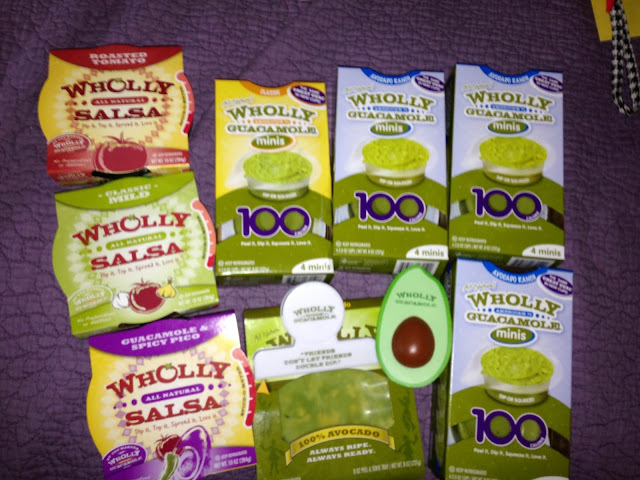 Absolutely check out Wholly Guacamole products and all the health benefits they will bring you. I am so happy that I found a snack I can eat between meals that is healthy and it's also pretty good for my hair and skin!!! That's super important to me! 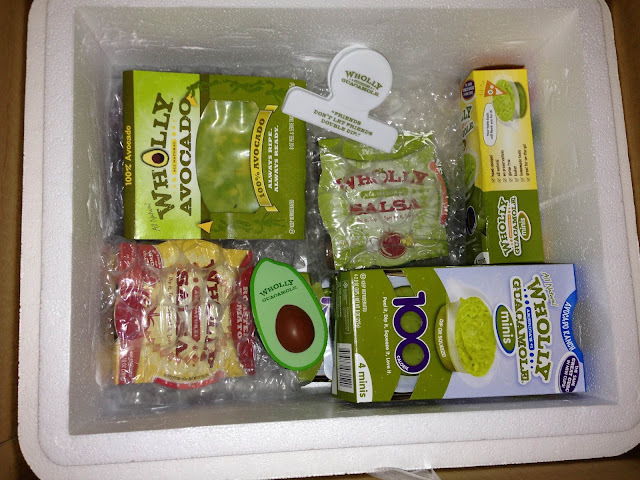 ******GIVEAWAY********* And one lucky winner will get a cooler of these yummy guac products just like I did. All you have to do is like their Facebook page and leave a comment here with your email address. I like them on FB as Jenna Marie. I already like Wholly Guacamole on Facebook as June Lisle.